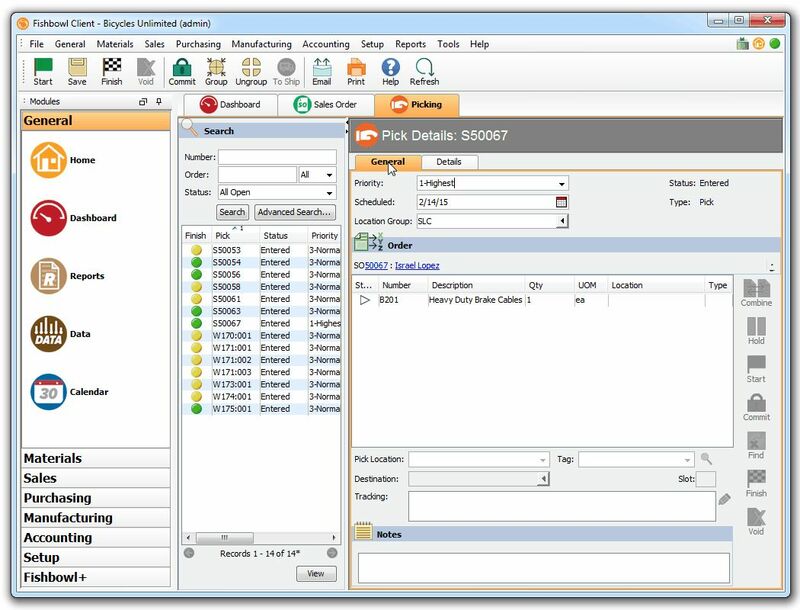 Fishbowl Inventory 2015.3 – Voiding Shipments! 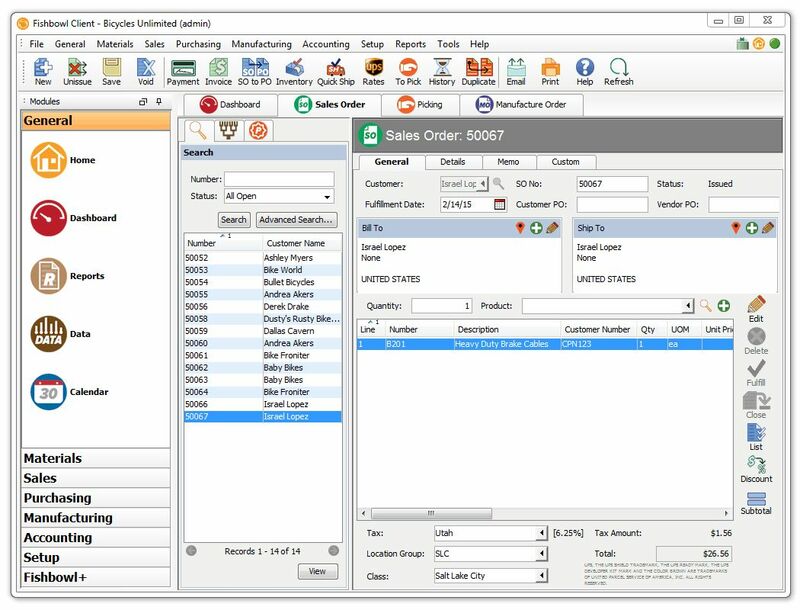 Home / Fishbowl Inventory 2015.3 – Voiding Shipments! 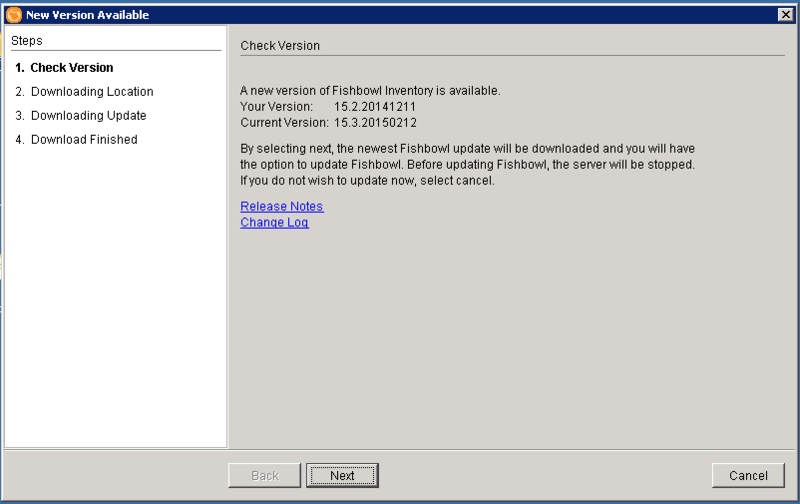 On February 12, Fishbowl Inventory released its third sub-release for the 2015 cycle. In this update, we begin to see Fishbowl incrementally improving Fishbowl by addressing small and large concerns Fishbowl Inventory users have. I was given a personal tour of 2015.3 last week when I visited Fishbowl Inventory as part of my periodic checking-in with friends there. Kendrick Hair, the Product Manager for Fishbowl Inventory, was kind enough to give some of his time to let me know how Fishbowl is doing. 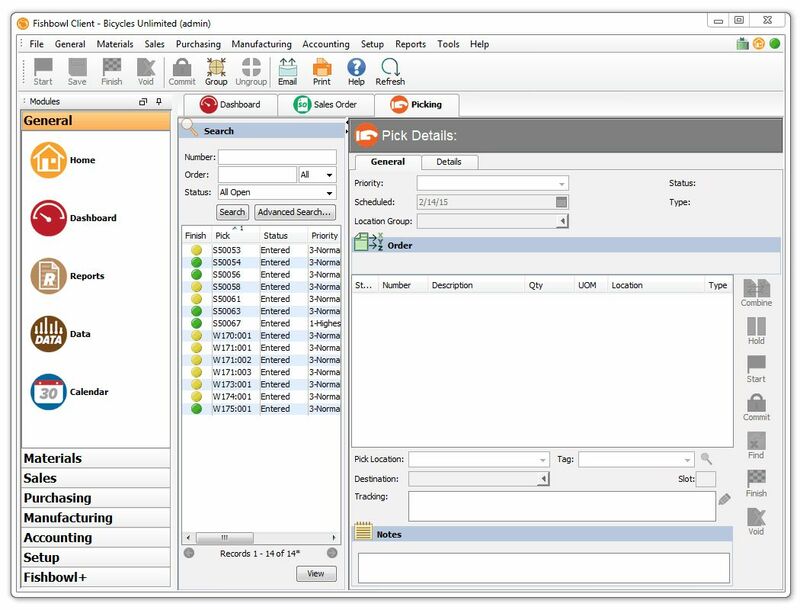 I think customers will love the new features, and you can start to see the strategic direction Fishbowl Inventory is enjoying from the process improvements brought upon by Fishbowl 2015. This has been the feature that I have wanted for the longest time. When I implement new customers, I’ve had to caution shipping managers/accountants/owners on the finality of shipping an order. Most of the time I get a confused face “Why! ?” and my answer has been because there is a chance that later you would have exported to QB, and deleting a previously created invoice is not a good idea, so they (FB) just prevent you from voiding. Well now you can. You can now Void Shipped Orders; only when one has not exported to QB. Good enough. This fixes the “I forgot X or Y” and the entire song and dance that has to occur in order to get the Inventory and the Costing accurate again. This is something that has been requested through the Fishbowl User Community; the ability to do some math evaluations in the number fields. You can even divide by zero, and Fishbowl handles it gracefully. Another great improvement to Fishbowl. You can now Over Pick Inventory on Work Orders / Manufacturing Module. This means that you can pull more inventory just by picking it instead of adjusting the Materials on the Work Order and re-picking it. The mechanism was cumbersome, so this should be a boost to productivity for our Fishbowl Inventory manufacturing customers. Previously, Customer Last price was a system-managed field, and was not available for editing. Now you can use the Customer Last Price to set anything you need. You also can access this via the Import / Export module to load in Customer price data. A good use case would be to define customer specific pricing, instead of using a pricing rule for each Customer & Product combination. In relation to the new feature noted above, Pricing Rules can now include the Customer Last Price in its calculations. But be aware to not do something like discount 10% on the List Price; Fishbowl would happily continue discounting as the Customer Last Price is updated. The Customer Last Price is updated every time it is made on a sale. It can be triggered through the module option. This is useful when your vendor applies their labels and part numbers on the inventory, and you simply just want to re-use that without having to print new labels. Fishbowl Mobile Warehouse now will look up the part number in question, and pick the first Part Number that matches to use on the Picking screen. 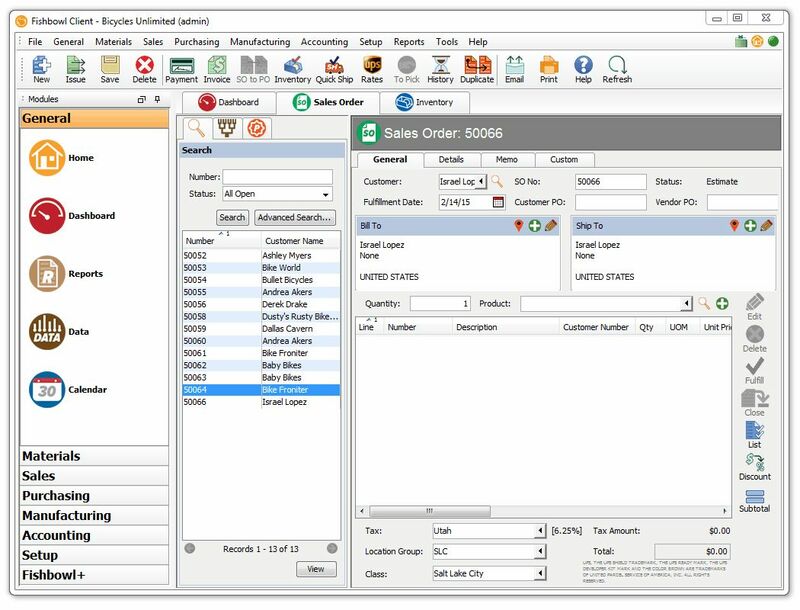 From the Pick Module Options, there is now an option to sync the Pick Priority from the Sales Order Priority. Enable this feature, and you can update the Sales Order Priority without re-issuing an order. You can now assign users to picks, and search for them in the Pick Module. Previously, the user that was attached to the Pick was the “Last User” that modified/viewed the Pick. Kind of self-explanatory, previously the link on the Work Orders in the Picking Module would go to the Materials tab; and the Fishbowl team found that was not nearly as helpful, so they changed the target page. Previously, the Icon Status Column would have the Red Circle Icon; reasoning that there is nothing to pick. True, but not helpful, so re-using the Finish Flag Icon helps communicate status quickly. 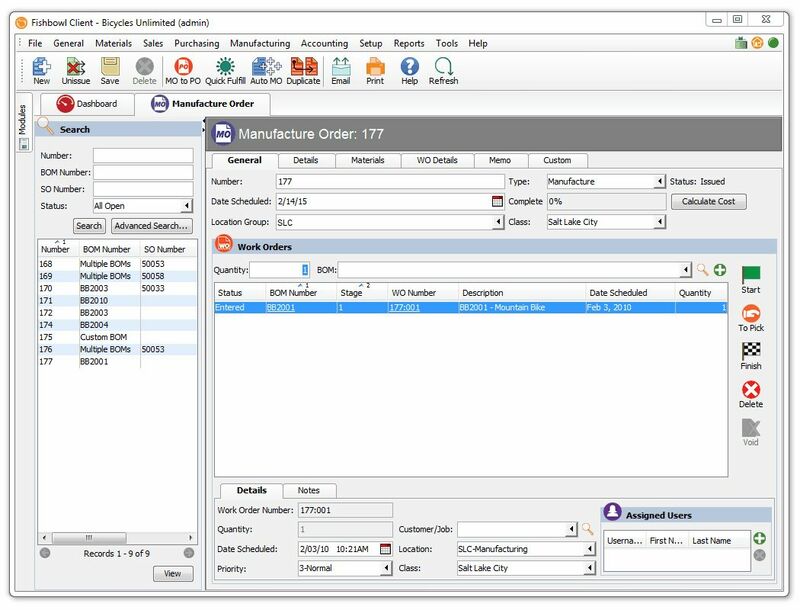 A new Column is available in the Pick Details that shows you to the Alternate Part Number, and that can be the Customer Part Number or the Vendor Part Number. Small Changes here change the world. Or something like that. But making the Part Number a link definitely helps make life with Fishbowl easier. These options do not necessarily link to the QuickBooks Export currently, and they are not tied into the Batch Reports, or any emailing Functions. You can however, set these options and search for them in the Sales Order search pane. 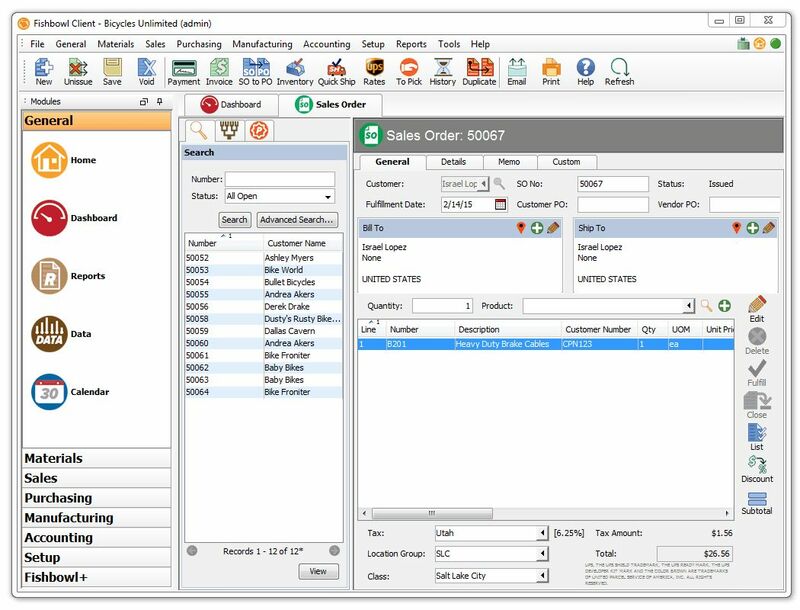 Similar to the Purchase Order Item Details Link Update, Sales Order Item Details links to the Product Module. I thought this was always the case, but I guess not. This is something I cannot easily “Show,” but it something I, as a Custom Solutions Provider will consider in my Fishbowl Inventory projects. I did not discover this until today, Fishbowl upgraded the small “there is a new update” notification to a Wizard Style prompt. Hopefully this encourages customers to stay on the latest versions. 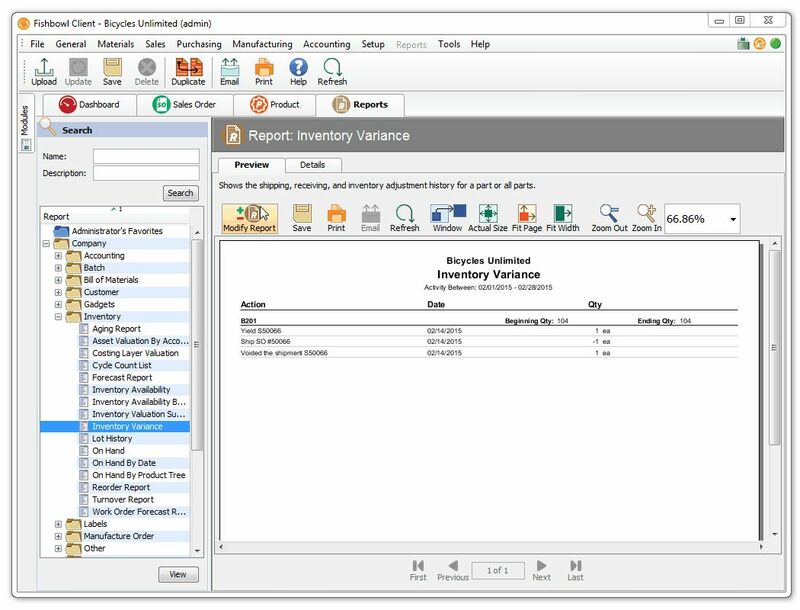 Approximately 60 fixes/improvements to the existing Fishbowl Inventory experience has been included in this Fishbowl Inventory 2015.3 release. You can read more about it here. I have selected a few that caught my eye; but for the exhaustive list, please visit the Release Notes page. Issue: Pick finish column doesn’t account for inventory in “Not Pickable” locations. Issue: Product class field can’t be unassigned once they are set. 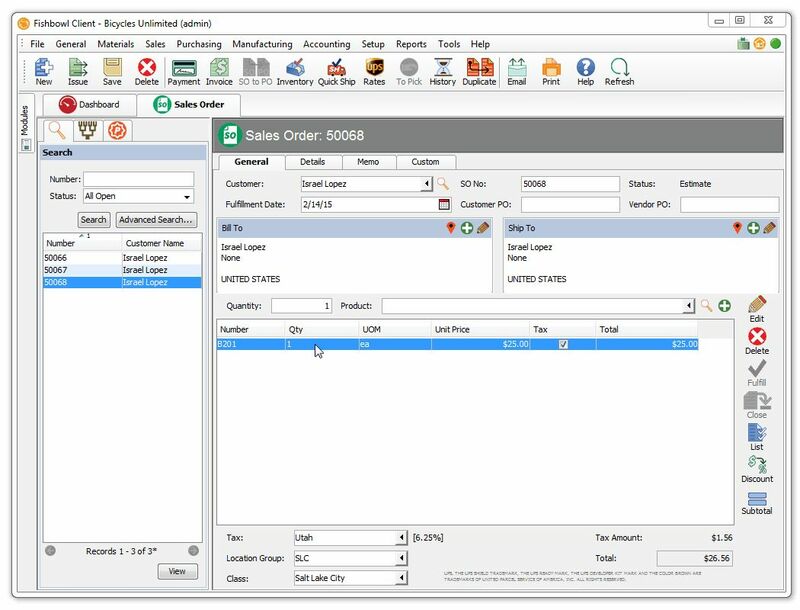 Issue: Loading a purchase order increments the auto number up one each time the client is loaded. 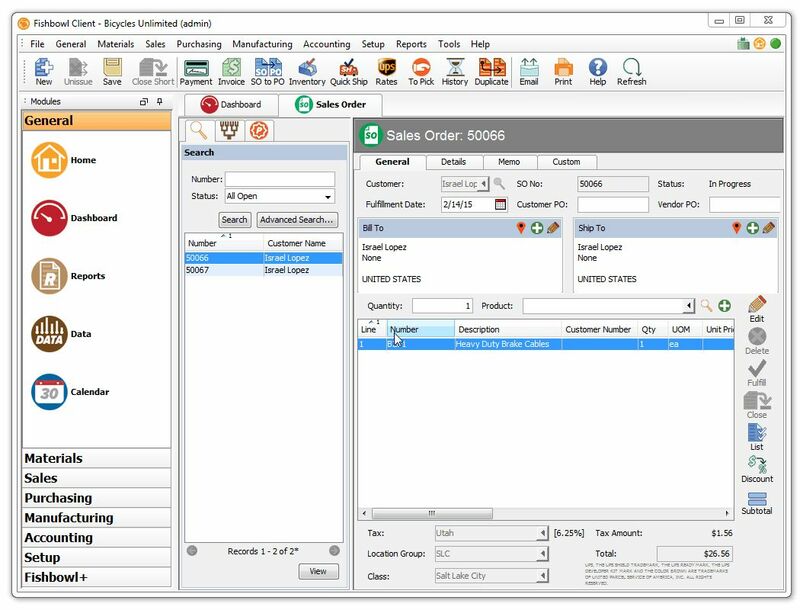 Issue: Partially shipping an order then exporting to QuickBooks and then taking payment and finishing the order doesn’t apply the payment to the order. Fishbowl Inventory hints at a Xero Integration?